Why would I need self storage in Simi Valley, CA? There are a variety of reasons why you might need self-storage in Simi Valley, CA. How much is a storage unit in Simi Valley, CA? The cheapest storage unit in Simi Valley, CA is $59.00 per month. What size storage units do you have available in Simi Valley, CA? In Simi Valley, CA we have sizes that range from 5'x5' to 10'x30' to suit your storage needs. How much is it for a 5'x5' storage unit in Simi Valley, CA? The cheapest 5'x5' storage unit in Simi Valley, CA is $59.00 per month. Located in California's Ventura County, Simi Valley is the county's third-largest city. 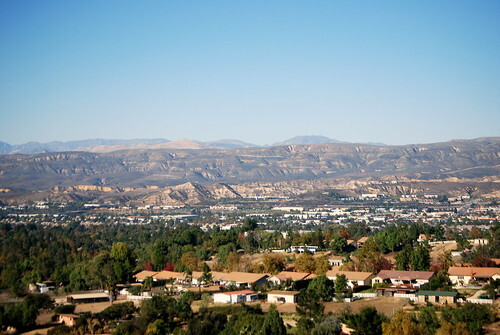 Situated on the northwestern edge of the San Fernando Valley and about 40 miles northwest of Los Angeles, Simi Valley enjoys a prime inland location and easy access to much of the metropolitan area. Originally a Chumash settlement, Simi Valley was settled by Spanish explorers in 1795 and incorporated as a city in 1969. Today, Simi Valley boasts over 30 parks, four golf courses, a performing arts center and a public library. The city offers quick connections to neighboring cities via Highway 118, Interstate 5 and the Los Angeles County Metropolitan Transportation Authority. Simi Valley is home to an eclectic collection of local establishments and landmarks, providing plenty of interesting places to visit during your free time. Whether you're interested in arts and culture, the great outdoors, or local history, there's something for you to explore. The Corriganville Movie Ranch offers a unique park atmosphere that just so happens to contain several old movie set locations. You can bike, walk or hike through the park, enjoying the beautiful California weather while trying to spot places from a variety of old movies. Strathearn Historical Park and Museum offers a peek at history of a different sort, with a Western-style town and Civil War re-enactments. Or you can visit the Ronald Reagan Presidential Library to touch a piece of the Berlin Wall, tour a former Air Force One airplane and learn more about the U.S. president. Other interesting places to spend time in Simi Valley include the Skateboarding Hall of Fame & Museum, Rocky Peak Trail and Simi Dog Park. There's a diverse group of businesses that make up the Simi Valley economy, ranging from manufacturing and, trade and transportation to education, health services and government. The largest employers in the area include the Simi Valley Unified School District, Simi Valley Hospital & Health Care and the City of Simi Valley. If you're planning to look for a job in the city, these are all good places to start. Simi Valley's industrial area is divided into two main sections, with a large number of machinery, tool and metal firms holding ground in both areas. You'll also find a number of establishments related to food production, plastic products and lumber in the city's industrial sector. Other large employers in the area include Walmart, Costco, AeroVironment and the Rancho Simi Recreation and Park District. Students living in Simi Valley attend schools in the Simi Valley Unified School District, which includes an early childhood center and an adult education facility in addition to its traditional elementary, middle and high schools. A handful of the district's high schools have garnered the attention of national publications for their impressive academic performance. Utilities: The city's utilities department manages the distribution and billing of residential water. Southern California Edison is the city's main energy provider. Garbage and Recycling: You'll receive three disposal cans for residential curbside collection: one each for trash, recyclables and green waste. Your neighborhood location determines your specific collection schedule. Transportation: Simi Valley Transit facilitates a fixed route bus system in Simi Valley and offers connections to other major cities in the area. In Simi Valley, you can typically find lower-priced homes closer to Ronald Reagan Freeway. Larger and more expensive homes are generally located farther from the city center, near Tapo Canyon, Marr Ranch, Cheeseboro and Palo Comado Canyon. While the median home price in Simi Valley is much higher than the national average, it's slightly lower than the national average for the Los Angeles metropolitan area. Our lowest priced units in Simi Valley, CA average $63.50 per month. 203 people have reserved units in Simi Valley, CA in the past 30 days. There are 4 locations within Simi Valley, CA's city limits. There is 1 location in Simi Valley, CA that offers AC and Heating features.